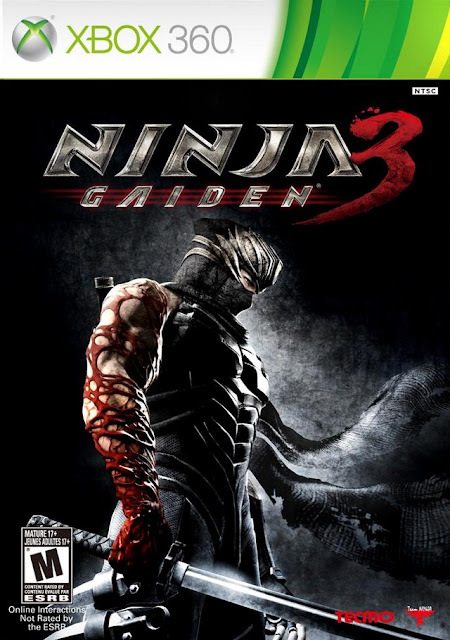 It has been almost 4 years since since Ninja Gaiden II and Team Ninja has decided to provide us with a review copy of their latest action title, Ninja Gaiden 3. The Ninja Gaiden series has been around since the eighties and a sad but true fact is that I can recall playing the arcade original around the time of its release. In that time, there have been numerous changes with next generation consoles in which some of the most memorable changes have come from Tecmo Koei developer, Team Ninja. This time around, the team is being led by Yosuke Hayabusa rather than their previous leader, Tomonobu Itagaki, but it seems that this new leader came to the table with some game changers. In this entry, players will still take on the role of Ryu Hayabusa but now see the world through his eyes and see what drives him while trying to determine the goals and motivations of a mysterious masked man who has changed Hayabusa with mysterious powers. 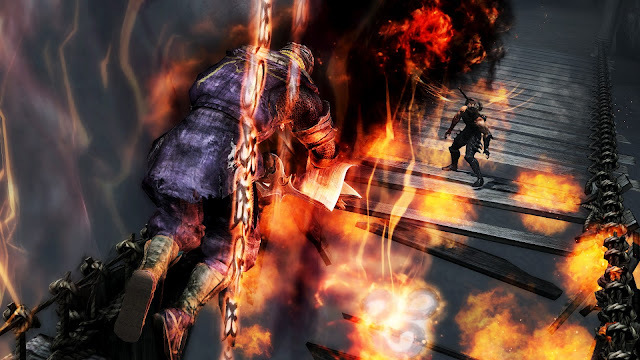 On the topic of change, for the first time in the series, multiplayer gameplay makes an appearance in the forms of competitive and coop gameplay. Sorry, for rambling, let's get this started. 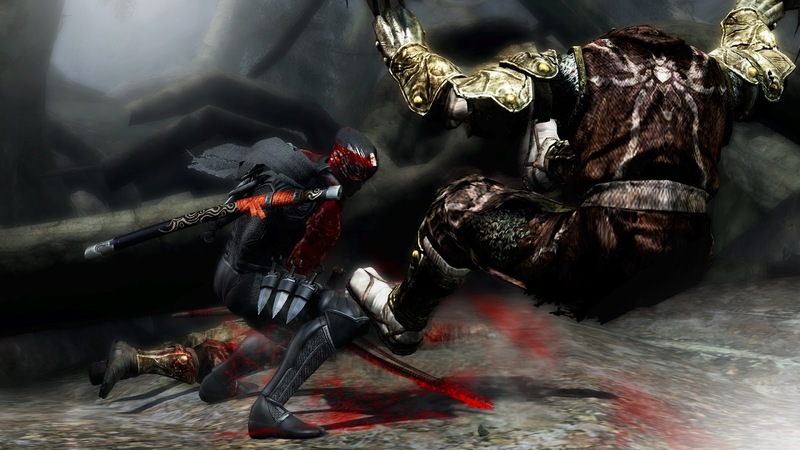 I have played most if not all of the Ninja Gaiden titles, liked most of them, and completed a few, so I am pretty sure what to expect with Team Ninja's creations, with exception to Other M. What they offer is a fast paced and visceral action game that is not forgiving nor skimps on big, over the top boss battles. This one fires on most of those cylinders as the gameplay is fast, and you will be mashing dodge and quick attacks quite often against the swarms of enemies throw your way on to each boss. Gore, well you can always count on this team to fulfill your ninja bloodlust while also getting the pleasure to see strong finishes in slow motion. What I felt was a pretty big gamble would be the online modes added in this game, and though it does feel a bit basic it also may have been my favorite part of my time spent reviewing this title. The reason being is that you have to try and outninja your opponent by use of your bow or blades from a distance or by hacking the stuffing out of them up close, hoping your strike will be the finishing blow. This online system does allow you to gain experience to achieve higher levels and unlock items to fully personalize your ninja. The ninja trails also had me coming back for more. 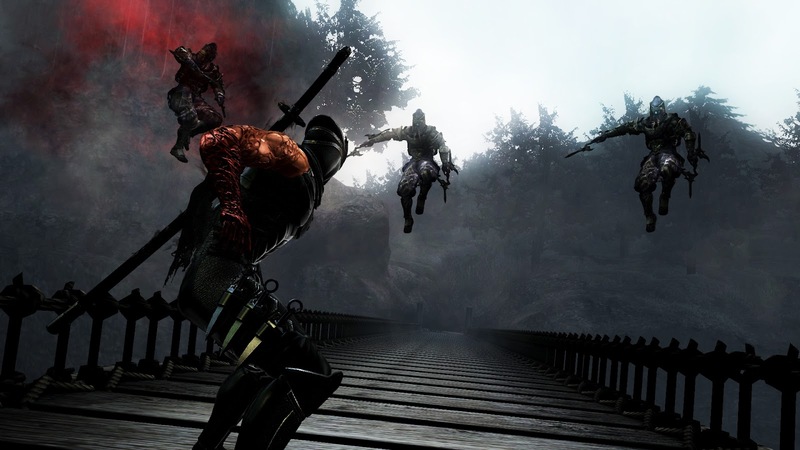 Now I also think that after playing through the story it did not feel like a Ninja Gaiden title as it felt easier to play through than its predecessors, but repeat customers come for the difficulty of Team Ninja's definition of "normal", so if multiplayer was going to be a first, then adding a newcomer or easy difficulty to the game would be fitting. Next off, the gameplay is linear, and does not have anything in the way of exploration. Once I realized that, it felt much more like an arcade game, which it does very well, I just had to spend the first two levels bouncing of walls hoping to find a little secret. Lastly, I am going to have to say would be variety, as there are only a few enemy types, and even fewer weapons. Don't fret though as it seems these issues have been addressed with continuing in the fashion of big boss fights and soon to be released weapons as DLC. 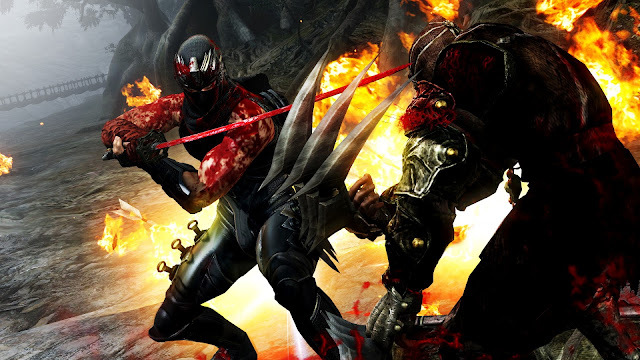 Did I like Ninja Gaiden 3? Yes, I thought it was fun, both the single player and the online game modes. This was also not what I was expecting after playing the first two, but once I realized they were changing things up, I really got to enjoying it. The announcement of DLC has me hoping for long term support and a strong community because this was the last game I thought I would fall for the online gameplay.